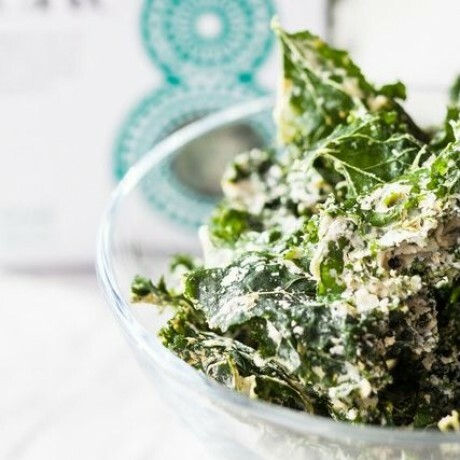 Don’t be fooled, there’s absolutely no cheese in these cheesy-tasting kale crisps. They’re deliciously crunchy and irresistibly more-ish, it’s hard to believe they’re such a good-for-you treat. And it gets better – these kale crisps haven’t even been fried! They’re produced using a special drying process that maintains all the nutrients and enzymes. Suitable for raw, gluten and dairy free, vegan and paleo diets, this really is a guilt-free snack. 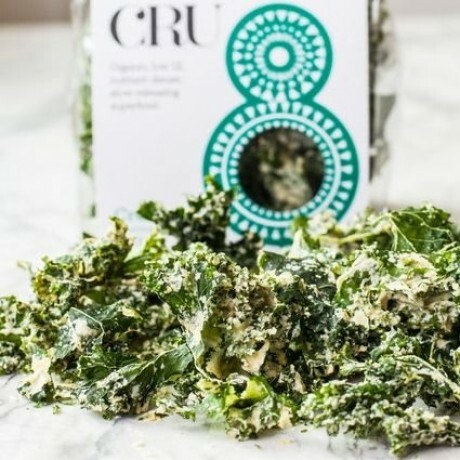 Cru8 crisps are organic, nutrient dense, low GI and a slow releasing superfood. Available to buy in quantities of 1 pack (50g each). Contains cashews. Manufactured in a facility that processes nuts.